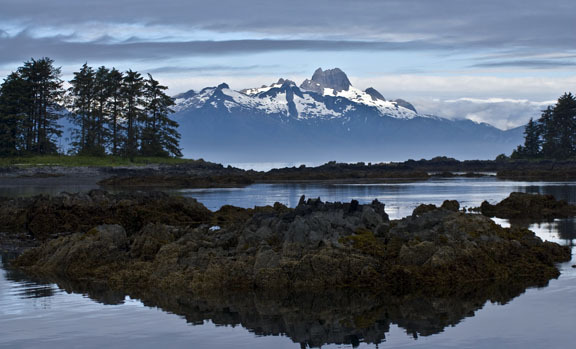 The Bay of Pillars is in Southeast Alaska at 56* 36' 05" N by 134* 15' 28" W, on Kuiu Island between the cities of Sitka and Petersburg. 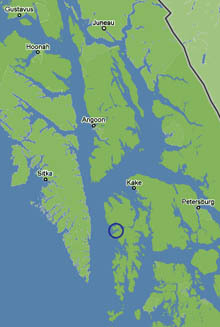 Is is a beautiful, secluded anchorage just off the east side of Chatham Straight-- but we're the only ones anchored here. 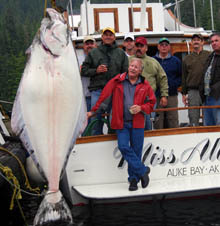 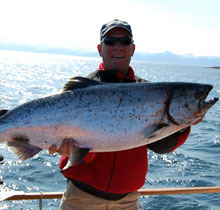 Alaskan Experiences operates within the Tongass National Forest on a Special Use permit that ensures quiet serenety.